Cardio training of gym level: the Life Fitness recumbent bike RS3 Go can be loaded up to 181 kg, offers a comfortable seat, and the GO console of the recumbent ergometer is very easy to use. The Life Fitness recumbent bike RS3 Go features a first-grade workmanship and high training comfort. The sturdy frame can be loaded up to 181 kg and reaches a value which is only offered by commercial fitness equipment, in general. All components are carefully matched together increasing durability and stability. It makes the cardio training more comfortable and provides a perfect power transmission of legs to pedals. The seat of the Life Fitness recumbent bike RS3 Go is horizontally adjustable in 13 levels. The backrest, relieving the back, is inclinable. You find the ideal sitting position for your cardio training. The backrest is breathable and provides a good ventilation. Getting on and off is much easier on the RS3 recumbent ergometer, because it has a low step through. 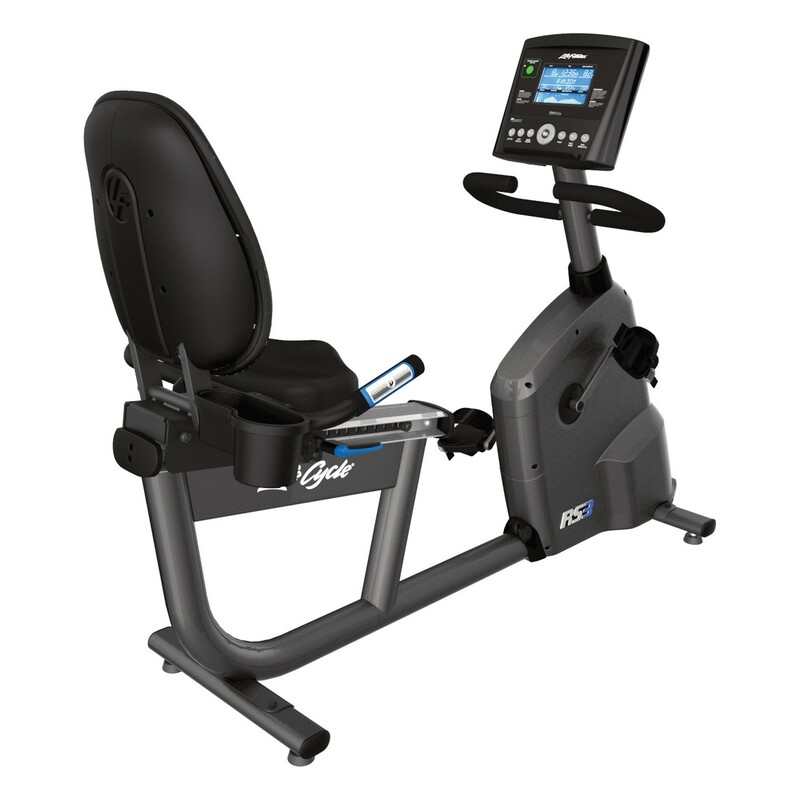 The Life Fitness recumbent bike RS3 Go has 20 resistance levels. These are set, so every fitness level can benefit from it. Increments of middle levels are finer. Here are the resistance levels, which are used by 90% of the users on the recumbent ergometer. In addition to the manual mode – due to the smart quick start function, you can start immediately – there are 13 preset workouts, of it a hill program for very quick training progress or a program, which is optimized for loosing weight. When you want to optimize your training by pulse control, there are several options to do so. The Life Fitness recumbent bike RS3 Go offers five pulse programs. 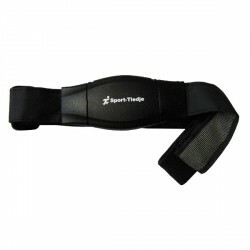 Heart rate is measured by hand pulse sensors attached on the seat or you use a chest strap, which is included in delivery. Your pulse can be read on the clear LCD display, where all other important training data are displayed as well. Life Fitness recumbent bike RS3 Go add to comparison list.